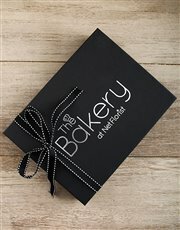 7527 DSB001.jpg 500X638\DSB001.jpg 7528 DSB001_1.jpg 500X638\DSB001_1.jpg 7529 DSB001_2.jpg 500X638\DSB001_2.jpg 7530 DSB001_3.jpg 500X638\DSB001_3.jpg Send A Hint! 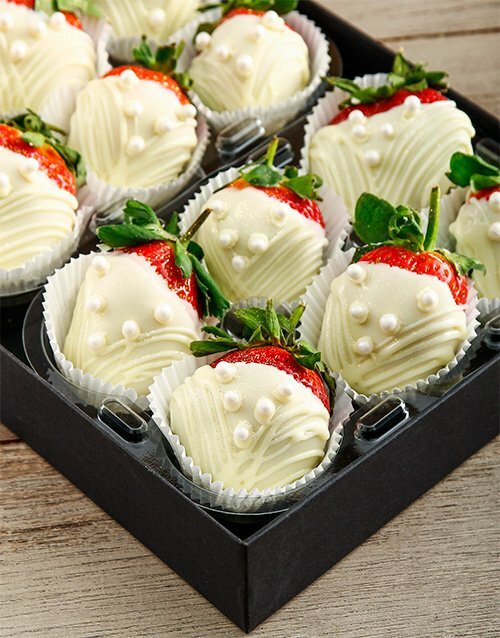 Product Description: less text The perfect sweet treat for a bride to celebrate her special day - 12 delicious giant strawberries, dipped in decadent white chocolate and decorated with white soft pearls present in a luxurious keepsake box with ice insulation, ensuring these delicious sweet treats stay fresh! 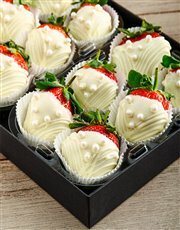 These mouth-watering strawberries are perfect for congratulating the bride on her wedding day or even her engagement! 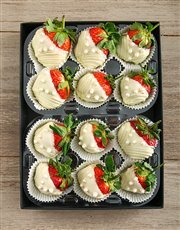 Treat her taste buds and send these freshly made Pearl Dress White Chocolate Dipped Strawberries from the Bakery at NetFlorist today! 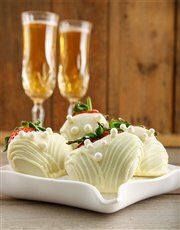 Get this Pearl Dress White Chocolate Dipped Strawberries delivered with NetFlorist.